Our fixed circular rooflights are structurally silicone glazed to give a sleek, elegant appearance with exceptional strength and rigidity. Our product is delivered fully assembled and is very easy to install. The framework of our circular rooflight is manufactured from an extruded aluminium profile that is curved using our in house rolling machinery. This enables us to produce a wide range of circular rooflight sizes to meet your specific requirements. The flush glaze design of our circular rooflights allow water and dirt to run off the edge with ease. Ideally we would recommend installing these rooflights and any ‘flat’ rooflights with a slight fall to enable this process. 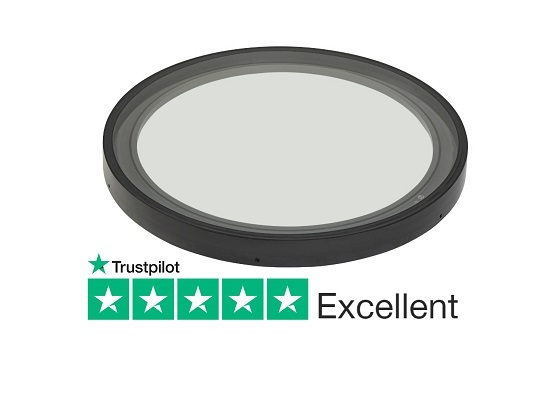 Duplus circular rooflights are double glazed in clear toughened and HEATSOAKED safety glass as standard, with options of blue, bronze or grey tinting or if preferred, an obscure finish for privacy or high performance solar control to minimise solar gain (g) and maximise light transmittance (Lt).